I am not a stranger to the investment of time and money (and sweat!) involved with custom framing artwork. I've market-researched, haggled and schlepped my papercuts and art prints to many frame shops close to home and faraway (as much as 4 hours drive even! It was worth it). So trust me, I know how frustrating it can be do find the best frame to showcase and protect your prized possessions. Not to mention trusting a new frame shop with my artwork (I'm a control freak, if I could, I'd stay and hover over them when they worked on my frames). 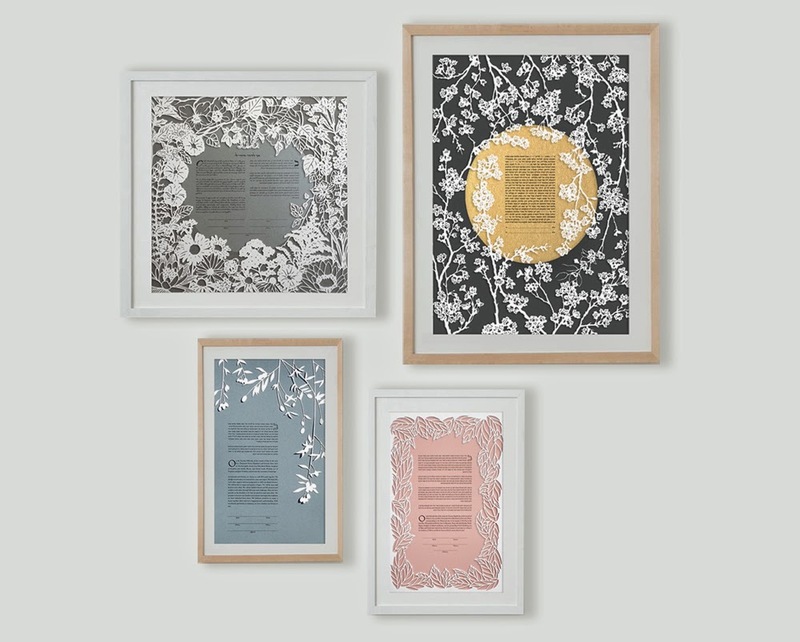 I get asked a lot by clients if I can recommend a reputable and trustworthy frame shop or advise them how to get their ketubah framed when it's time to proudly hang it at home. I can now happily recommend a great frame shop for all US customers that has experience framing papercuts and knows how to showcase them to their outmost magnificence. And it's online! 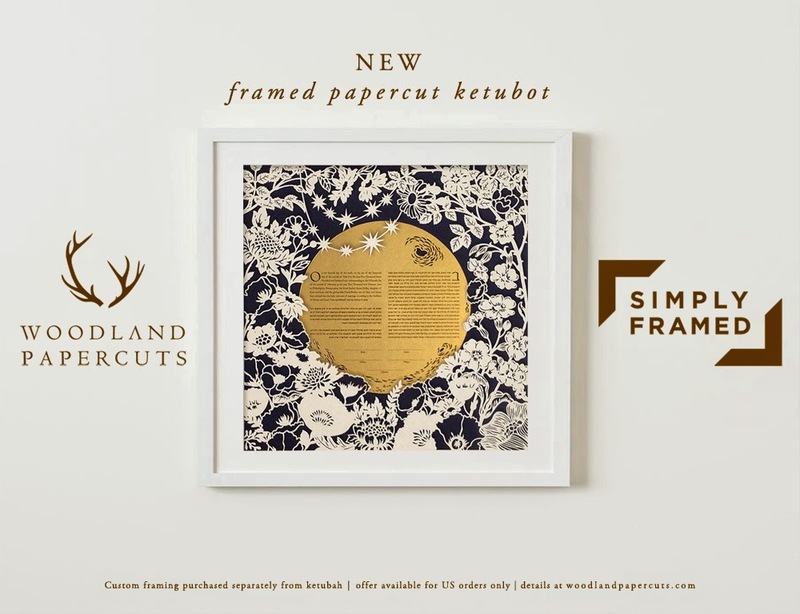 I'm proud to announce that WOODLAND PAPERCUTS has partnered up with SIMPLY FRAMED to offer gallery-worthy custom frames at affordable prices! 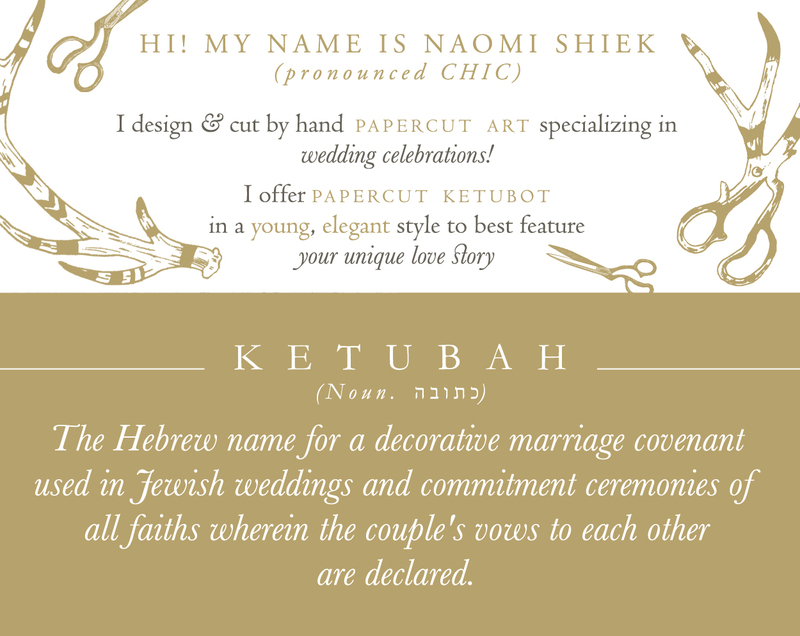 Now instead of hauling your ketubah to the frame shop, and being overwhelmed by thousands of frames and mats at different price points, you have a streamlined service that has curated the best aesthetic and quality options for you. The whole process is completed from home. Even better! 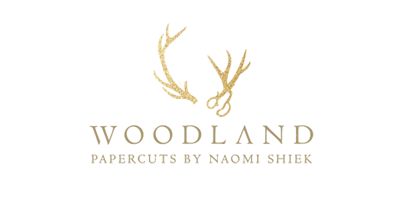 WOODLAND PAPERCUTS will include a coupon code with all US orders for our clients only.